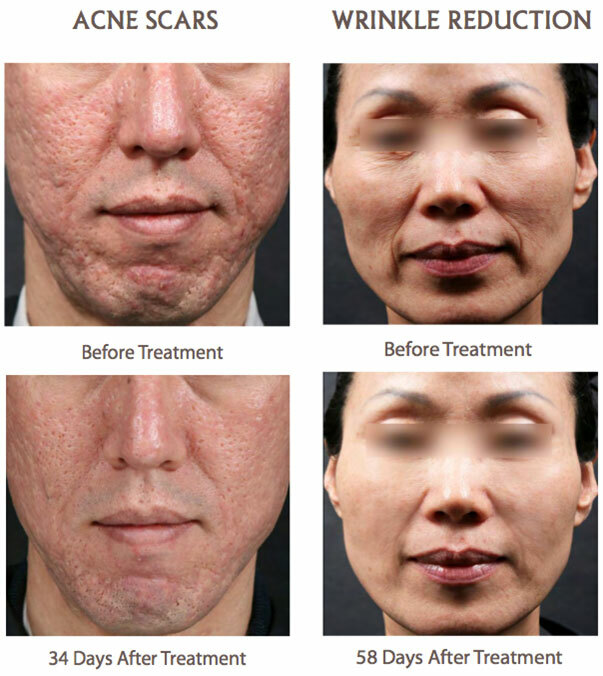 Intracel is one of the newest and best technologies on the market to help deal with signs of aging as well as acne scarring and surgical scars and stretch marks. Most other technologies out there such as (Fraxel*TM) deliver their energy trough the top healthy layers of skin. This can cause severe swelling and the potential for downtime, missed days at work or school and lost wages. Intracel has found an innovative way to get the best results without the associated downtime. 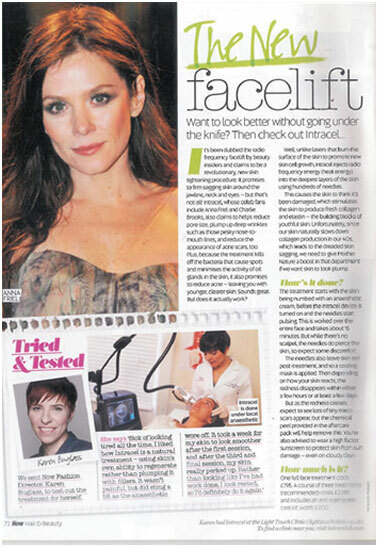 The fractional RF micro needling™ technology is an innovative design that uniquely treats the target area through rapid penetration of specially designed insulated micro-needles without causing extensive damage to the epidermis. Through the action of the microneedles, a tiny column is created that facilitates healing and brings about a growth factor that develops the mechanism of natural recovery with the effect being similar to that of peeling, but with minimal impact on the epidermis. At the same time it emits a high-tensioned RF pulse onto the target area inside the skin. The fractional RF thermolysis is applied directly to this area and selectively degenerates the collagen fibers between the superficial dermis and muscle band, resulting in the fibers immediately dwindling and thus promoting the construction of new collagen through a stimulus of the fibroblasts. Each needle in the array is insulated at the tip, with only 0.3mm exposed at the apex where the RF emits. The system differs from laser therapy in that the electrical energy is transposed into thermal energy and where the RF energy exits the end of the needle it transfers from its point circle to the adjoining areas causing denaturalization and coagulation. As the needles are insulated apart from their tips, the micro holes that are created are not exposed to thermal damage during the RF emission which in turn minimizes the side effects of pigmentation and spares any damage to the epidermis. The system is sufficiently optimized to deliver enough thermal energy to denaturalize a cell and destroy the causes of acne bacteria, acne and sebaceous glands in addition to improving the scarring associated with acne lesions. 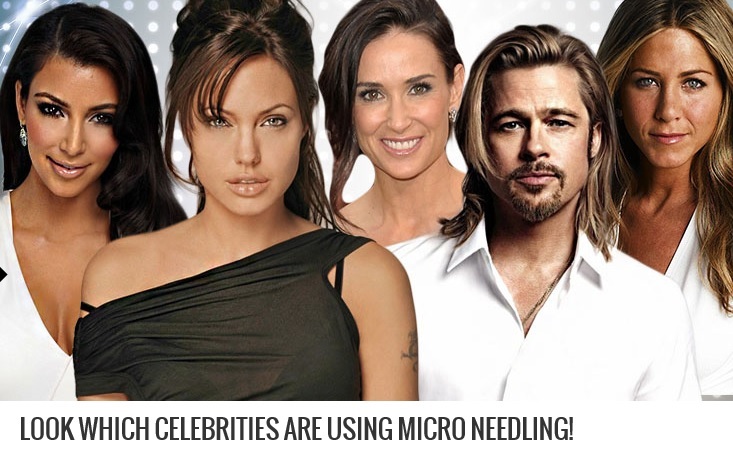 Intracel Fractional Micro Needling is only offered in Mississauga by Trillium Laser. Call us today at (905) 891-9300 for your FREE consultation and to see if Intracel Fractional Micro needling treatment is right for you.